Apex Scaffolding offer a 24 hour emergency scaffolding call-out service to Blackpool, Preston, Lancaster and the wider Lancashire and North West region. Whatever the size of your emergency, we aim to mobilise quickly and make the site safe in the shortest possible time. Storm damage to buildings requiring shoring up or support scaffolding. Temporary roofing, shoring and scaffolding following fire damage to a property. Property in danger of collapse due to a vehicle collision. Emergency scaffolding for urgent repairs to buildings following any other incident. Any other Shoring and Support Work needs. 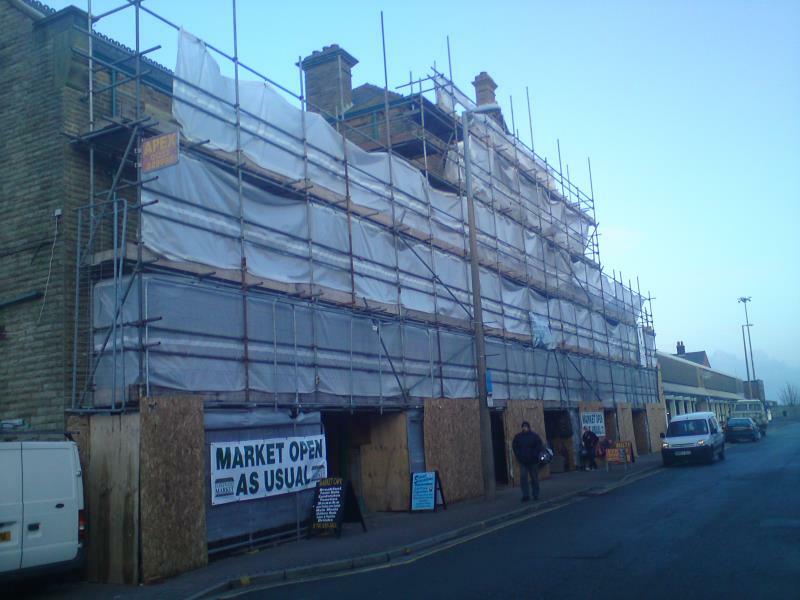 To enquire about our emergency scaffolding, please email or give us a call.